Series 7 7865cc Wet & Dry shaver with Clean & Charge station and travel pouch, grey. The 8 directional flexible shaver head masters even the most problematic contours. With individually floating foils and trimmer, mounted on a pivoting head with Micro- and MarcoMotion. Skin contact as close as 0.05mm. Very precise indication of charging, battery (3 levels) and foil replacement. Braun Precision HeadLock lets you lock the shaver head for for maximum control in difficult areas under your nose or chin. What's the difference between the different Series 7 models? The Series 7 cc shavers have the most advanced display among Braun shavers: a LCD display with very precise indication of charging, battery and detailed hygiene status. It now comes in an elegant noble metal color. On top, the 790cc features the most advanced cleaning center from Braun: it hygienically cleans, charges, lubricates and dries automatically your shaver. Our tests show that cleaning your shaver with a Clean&Charge Station is 10 times more hygienic than cleaning it under the tap. On top its more convenient, i.e. 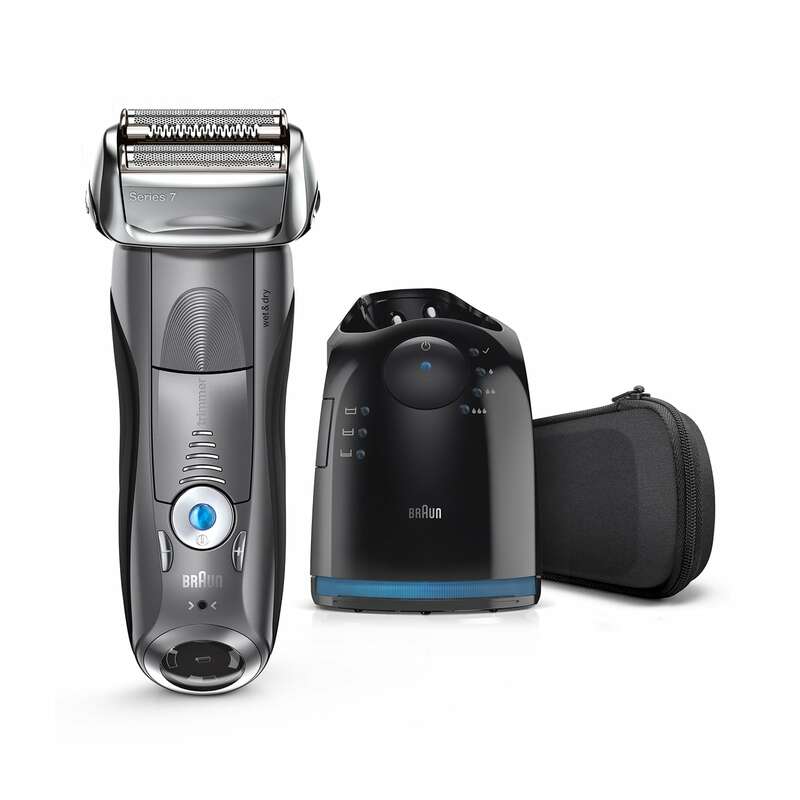 at the touch of a button your shaver is cleaned, charged, lubricated and dried automatically. I already have a cleaning center from my previous Braun shaver (Pulsonic or Syncro). Can I use it with the new Series 7 shaver? No, the Series 7 cleaning center is the ultimate model from the Braun Clean&Charge line and can't be used with previous models. The latest cleaning center provides you with the best technology available in a cleaning center. If you clean your shaver with the cleaning center twice a week, you will only need to replace the refill cartridge every 2 to 3 months to experience a shaver like new, every day. The save & subscribe option from Amazon allows you to subscribe for a regular home delivery and at the same time save 10% on the price of the Clean&Charge refill. You don't have to think about it and always have a Clean&Charge refill available when you need it.